1. Collect data concerning the focus area to be addressed – use a Check sheet. 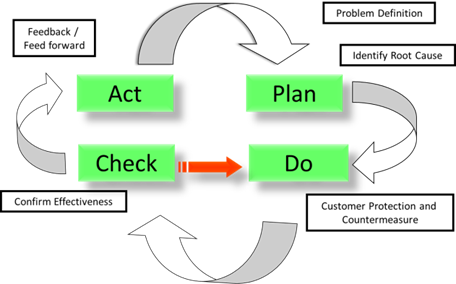 The PDCA is a method based on a cycle of four iterative phases. These steps are: S1-Plan, S2-Do, S3-Check and S4-Act. During the Plan stage the problems faced are specified, analyzed and the actions intended to fix them are defined; these actions are implemented at the Do stage and their effectiveness is verified during the Check phase; finally during the Act stage the cycle starts again in a never ending process for further improvement. It is a method of continuous improvement useful for finding effective solutions to problems. - “Collaborative problem solving within supply chains” by Juan Camilo Romero Bejarano. PhD Thesis. It is the action taken to prevent non-conformities or problems from occurring. Problem situations include unknown factors and unusual or unexpected conditions that represent an obstacle to overcome. For any of these situations the problem is presently in some state, is desired to be in another state and there is no direct nor obvious way to accomplish the change. 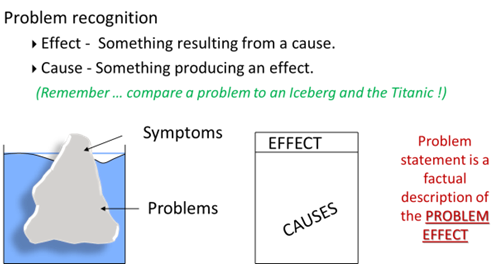 In other words the problem is a gap between an initial -existing- situation and the desirable situation. By extrapolation, an industrial technical problem appears when the performance of a product or one of its component deviates from what have been stated on standards or specifications and there is a convergence of unknown factors and unusual or unexpected conditions that makes complex for the firm to bring the product back to its expected performance. It is a key phase in problem solving. To define a problem we can use tools as 5Wh; 5Ws; Go, Look, Se; Is/Is not, among others. It is a structured approach for which the critical steps to solution are known and clearly specified and that provide a framework through which potential solvers have harmonized and standardized ways of finding effective solutions to problems. The kind of methods for solving problems for which all the critical steps to a solution can be specified in advance are known as routine problem solving methods. The most important of these methods that have demonstrated effective results within industry are: PDCA (Plan, Do, Check, Act), DMAIC (Define, Measure, Analyze, Improve, Control), A3 report, 7-steps and 8-Disciplines 9-Steps. It is the group of people gathered to solve a specific problem. 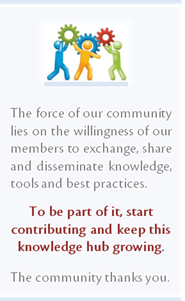 All the participants will contribute all along the process with their own skills, knowledge, capabilities and expertise in a way such they act in a complementary and effective manner to reach the goal of definitively eradicating the problem. It is important to consider complementarity and synergies between actors, proximity of actors with the problem, assigned roles and responsibilities, organizational constraints and individual and group behavioral aspects such as group pressure, thinking traps and biases impacting the mutual decision making.